Through the Section 811 Supportive Housing for Persons with Disabilities program, HUD provides funding to develop and subsidize rental housing with the availability of supportive services for very low-income adults with disabilities. The newly reformed Section 811 program is authorized to operate in two ways: (1) the traditional way, by providing interest-free capital advances and operating subsidies to nonprofit developers of affordable housing for persons with disabilities; and (2) providing project rental assistance to state housing agencies. The assistance to the state housing agencies can be applied to new or existing multifamily housing complexes funded through different sources, such as Federal Low-Income Housing Tax Credits, Federal HOME funds, and other state, Federal, and local programs. In FY 2012, no funding was appropriated for traditional 811 capital advances. HUD has traditionally provided interest-free capital advances to nonprofit sponsors to help them finance the development of rental housing such as independent living projects, condominium units and small group homes with the availability of supportive services for persons with disabilities. The capital advance can finance the construction, rehabilitation, or acquisition with or without rehabilitation of supportive housing. The advance does not have to be repaid as long as the housing remains available for very low-income persons with disabilities for at least 40 years. HUD also provides project rental assistance contracts for properties developed using Section 811 capital advances; this covers the difference between the HUD-approved operating cost of the project and the amount the residents pay–usually 30 percent of adjusted income. The initial term of the project rental assistance contract is 3 years and can be renewed if funds are available. Each project must have a supportive services plan. The appropriate State or local agency reviews a potential sponsor’s application to determine if the plan is well designed to meet the needs of persons with disabilities and must certify to the same. Services may vary with the target population but could include case management, training in independent living skills and assistance in obtaining employment. However, residents cannot be required to accept any supportive service as a condition of occupancy. Nonprofit organizations with a Section 501(c)(3) tax exemption from the Internal Revenue Service can apply for a capital advance to develop a Section 811 project. A new Project Rental Assistance program was authorized by the Frank Melville Supportive Housing Investment Act of 2010, and will first be implemented through a demonstration program in FY 2012. Under this program, state housing agencies that have entered into partnerships with state health and human services and Medicaid agencies can apply for Section 811 Project Rental Assistance for new or existing affordable housing developments funded by LIHTC, HOME, or other sources of funds. Under the state health care/housing agency partnership, the health care agency must develop a policy for referrals, tenant selection, and service delivery to ensure that this housing is targeted to a population most in need of deeply affordable supportive housing. This Section 811 assistance comes in the form of project rental assistance alone. No funds are available for construction or rehabilitation. Eligible grantees are state housing agencies that have entered into partnerships with state health and human services and Medicaid agencies can apply for Section 811 Project Rental Assistance, who then allocate project assistance to projects funded by tax credits, HOME funds, or other sources. For projects funded by capital advances and supported by project rental assistance contracts (PRACs), households must be very low-income (within 50 percent of the median income for the area) with at least one adult member with a disability (such as a physical or developmental disability or chronic mental illness). For projects funded with Project Rental Assistance, residents must be extremely low-income (within 30 percent of the median income for the area) with at least one adult member with a disability. States may establish additional eligibility requirements for this program. Applicants must submit an application in response to a Notice of Funding Availability (NOFA) published in the Federal Register each year and posted on Grants.gov. 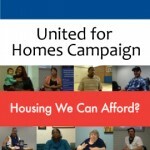 This program is authorized by Section 811 of the National Affordable Housing Act of 1990 (P.L. 101-625) as amended by the Housing and Community Development Act of 1992 (P.L. 102-550), the Rescission Act (P.L. 104-19) the American Homeownership and Opportunity Act of 2000 (P.L. 106-569), and the Frank Melville Supportive Housing Act of 2010(P.L. 111–374). Program regulations are in 24 CFR Part 891. To learn more about the Section 811 program, see Section 811 Supportive Housing for Persons with Disabilities (HUD Handbook 4571.2) and Supportive Housing for Persons with Disabilities, Conditional Commitment to Final Closing (HUD Handbook 4571.4) which are available on HUDclips.